Humankind’s future ability to feed itself is in jeopardy due to the concurrent degradation of land, water, climate and biodiversity on a global scale. The human population is set to reach 10 billion people by 2050, increasing the global demand for agricultural products by 70 per cent. By 2022, India will surpass China as the most populous country in the world. Will innovation in agriculture be able to feed the global population? Agriculture is derived from the late-Latin word Agricultura with ‘agri’ depicting land and ‘cultura’ meaning cultivation. Starting out as hunter-gatherers, humans have gradually learned to settle in fertile places for farming and later, started domesticating animals. The Fertile Crescent of the Middle East, which we now refer to as Egypt, Turkey, Israel and Iraq, is known as the earliest site of farming. While it is not without its detractors, the agricultural revolution has delivered benefits in terms of the economic well-being of the majority of humankind. Farming in the 21st century has undergone drastic changes. New advancements in technology have transformed agricultural production and management. What emergent farming techniques are now in play? One step to realize the potential of agriculture is to shift from exploiting resources to the restoration and regeneration of the ecosystem. From climate mitigation and adaptation to quality nutrition and sustainable livelihoods, agriculture plays a key role in addressing many of today’s pressing challenges. One step to realize the potential of agriculture is to shift from exploiting resources to the restoration and regeneration of the ecosystem. In 2005, Vietnam’s lagoon ecosystem was in danger from the clearing of mangroves, illegal pond structures and overfishing. This threat could have disrupted the lives of over 300,000 people. To resolve this, fishing related activities were cut back by 30 to 40 per cent. In addition to improving the livelihood of local people, this move helped in sustaining the lagoon’s resources. Contrary to the widespread perception about famines in Africa, 67 per cent of the world’s food shortages occur in the Asia-Pacific region. Agriculture investment empowers poor farmers to increase their wealth and add to the supply of food. By 2050, food demand will increase by 70 per cent, which means USD80 billion in annual investments will be required to support demand. By 2017, out of the 767 million people in the world who continue to live in extreme poverty, two thirds lived in rural areas. Contrary to the widespread perception about famines in Africa, 67 per cent of the world’s food shortages occur in the Asia-Pacific region. Science and technology have helped shield agriculture from risk. We now require new knowledge and education systems to understand complex biological systems. For instance, the Pradhan Mantri Krishi Sinchai Yojana scheme launched in 2016 in India aims at irrigating farms. An online portal named ‘eNAM’ launched in the same year provides farmers with what it claims are the best prices for selling their produce. Digital India further plans to connect 2.5 million Gram Panchayats (local governments) with a high speed internet connection. This will not only improve productivity but also increase employment opportunities. What is driving sustainable agriculture? The future of agriculture lies in the on-going technological revolution in farming, led by robotics and sensor advancements. Limited resources and an expanding population have led to a growing demand for high-tech systems in agriculture that include the following. Using sensors, farmers can now check the physical and chemical properties of the soil. For instance, Bonirob is a car-sized robot that measures the soil quality, moisture, soil conductivity and soil compaction. This was developed by scientists in Germany in 2014 through Deepfield Robotics, a Bosch-owned start-up. Sensors can also help farmers to examine the various environmental and crop conditions and to extract field data automatically. This helps track the growth and changing requirements of the crop, enhancing productivity and mitigating risk. In the near future, food could be produced directly from genetic tailoring in labs. Genetically designed food is an offshoot of Genetically Modified (GM) food to alleviate world hunger. Nearly five tons of genetically engineered Atlantic salmon fillets have been sold to Canada, making the Canadians the first to eat GM salmon last year. Technology is coming to pervade all sectors and agriculture is no exception. As the population expands, robotics is in great demand on farms. Self-driving tractors, fruit-picking agbots (agriculture robot), smart sensors and drones are all part of the technology revolution in the fields. Researchers are now using robots to detect the right time to harvest any particular fruit. This ensures the quality of the products while keeping costs to a minimum. Although notorious for being the agents of diseases, microbes play an important role in agriculture. Using such organisms for farming is a rapidly growing part of agricultural biotechnology. For instance, microbes like rhizobia can act as a converter to fix nitrogen from the air into soluble nitrates, which can act as natural fertilizers in leguminous plants. In 2014, agriculture made up almost 40 per cent of global GDP. 43 per cent of all exports are agriculture related. Contrary to popular belief, developed countries such as the USA, France, Holland and Norway have sizeable food export industries that enjoy considerable government backing. As far as global food exports go, a few emerging economies are worth keeping an eye on. Agriculture is vital for India’s economic growth. The industry supported 58 per cent of rural households in 2017 as their main means of livelihood – approximately 49 per cent of the work force. In 2013, India ranked the first in global pulse production with 25 per cent of global supply, 22 per cent for rice production and 13 per cent for wheat production. However, India’s agricultural yield has been found to be lower than that of top producing countries like Brazil, China and the US. India still hosts the second largest agricultural (irrigated) land globally. All 15 major climate types in the world can be found in India, with 20 agri-climatic regions. Approximately USD300 billion in commodities are being produced by the US agriculture sector per year. In 2015, food and agriculture related industries in the United States contributed USD992 billion (about 6 per cent) to its GDP. Approximately USD300 billion in commodities are being produced by the US agriculture sector per year (up until August 2017). Annually, one US farm supports 165 people. 70 per cent of Africans depend on agriculture for their livelihood in 2017 . Over 32 per cent of Africa’s GDP comes from this sector. Unexploited growth opportunities remain for investors. Uncultivated arable land accounts for 65 per cent of Africa’s land mass. With continued investments into agriculture, new markets have the potential to add approximately USD85 billion in export earnings per year by 2025. Agriculture is a primary source of income for 45 per cent of the Chinese population. The growing appetite of China’s rising middle-class for food can be seen by the fact that China has become Canada’s second-largest two-way trading partner (after the United States) by purchasing approximately USD6 billion worth of Canadian food and farm exports in 2016. China will invest CNY3 trillion by 2020 to modernize agricultural practices and boost food supply. Brazil’s agricultural sector is expected to have grown by almost 11 per cent in 2017, adding just over USD10 billion to the economy. It will also increase subsidies to farmers by about one-fifth to approximately USD3.80 billion, to boost the 2017-2018 harvest. The Brazilian government made investments of USD4.6 billion in 2013 in infrastructure for smooth transportation of agri-products, making it more viable to export produce. The global population is set to increase over two billion by 2050. This is likely to lead to shortages of water, soil erosion and climate change, which may degrade farmland. Farmers will have to become more open to innovation to attain food security through technological innovations. Prices for agricultural commodities, including food commodities and raw materials, are expected to go up by about one per cent in 2018 as demand gradually outstrips supply. This is expected to increase the prices of grains, meals and oils. With rising concerns over food security, more attention is needed to overcome environmental issues such as air pollution, deforestation, water pollution, monocultures, fossil fuels and carbon emissions. A staggering 260 million acres in the US and 100 million hectares in South America’s Amazon rainforest have already been cleared to make way for farmland in 2017 alone. By 2030, an estimated 600 million people could potentially be undernourished lest proper measures are taken to boost food production, distribution and access. Technology is disrupting and revolutionizing many traditional industries, including retail, hotels and taxis. Today, technology stands poised to disrupt agriculture with the prospect of driverless tractors, sensors, drones, Global Positioning Systems (GPS) and farm management. Farmers need to produce at a large scale to ensure sustainability. As Russia and China grasped a century ago, agricultural consolidation is a necessary but not sufficient factor for boosting productivity and output. Farmers need to get rid of old stereotypes, update their skills and techniques by incorporating new innovations in agriculture. 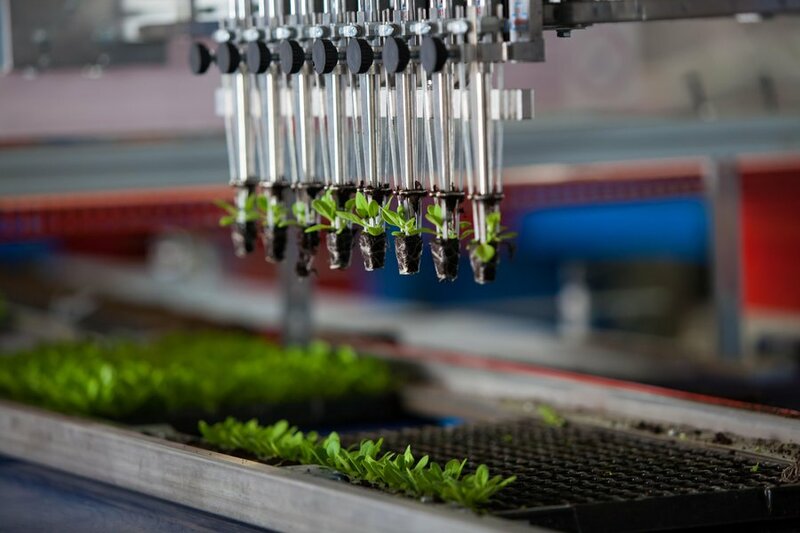 Looking at how so many industries are being disrupted by technological innovation, one cannot help but be optimistic that the global agricultural sector will embrace change – as indeed it must.